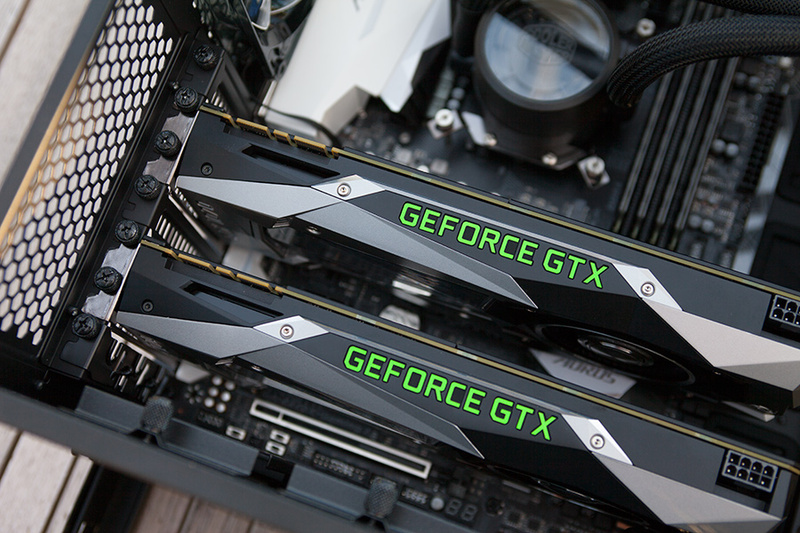 Thanks to NVIDIA I’ve got these two GeForce GTX1070 to pair with the AORUS Z270X Gaming 7 motherboard. I won’t recomend anyone to run dual graphics cards in their first PC. A single graphics card is easier to work with, fully supported in all games and ofc less power consuming. 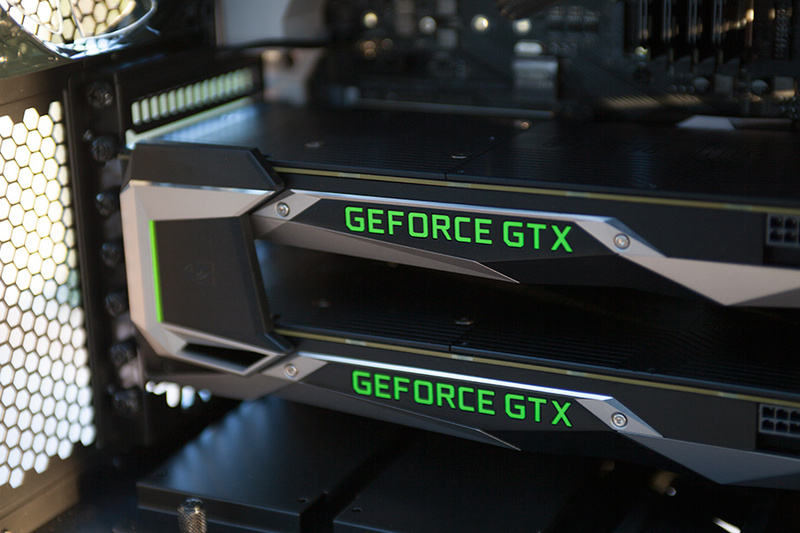 But running SLI will give you a performance boost, scaling depends on which game you play though. With that said, I think that an ATX motherboard requries at least two cards when aming for looks and performance. Lets go ahead and install them! Most motherboards got multiple PCI-e ports but with different speed dedicated to them. Check your motherboard manual to see which slots to use. I put my first card in the X16 slot and the second one in the X8 slot. They now sit with 3-slot spacing which is perfect. A tight fit but with room for air. 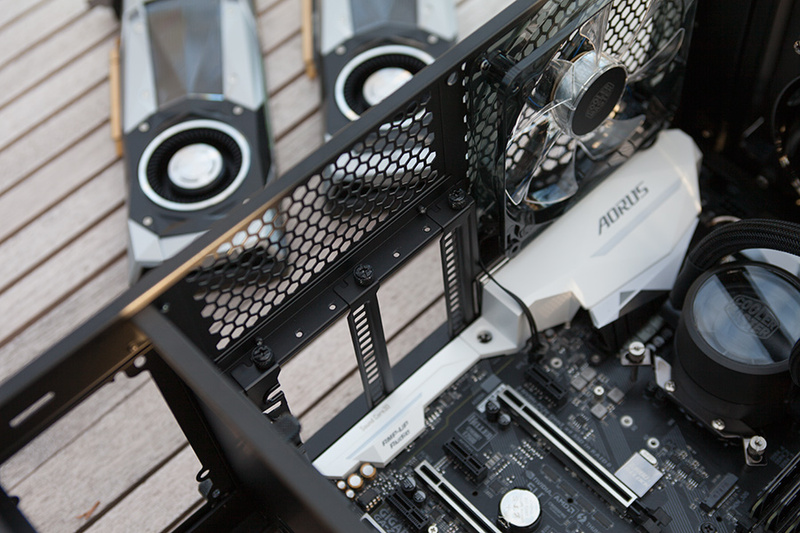 In some SLI configurations there’s only 2-slot spacing and the upper hand card will then have a hard time to get air flowing. And the air it gets is already warm from the bottom card. With 3-slot spacing, this won’t be an issue. 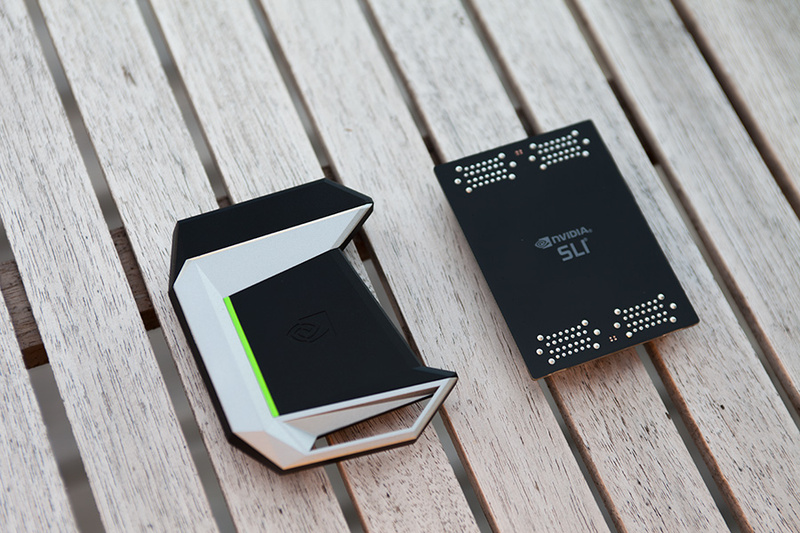 To connect the two cards properly and make them work together, you need a SLI-bridge between them. 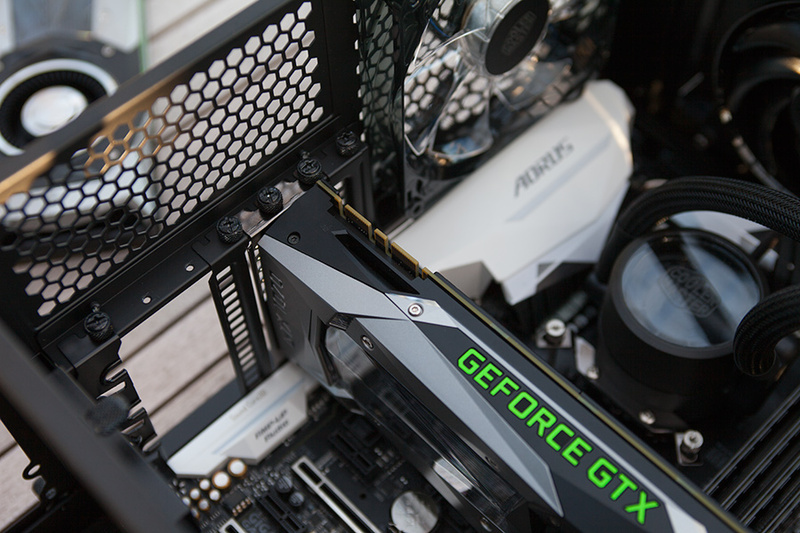 If your motherboard supports SLI, there’s most common that a simple bridge is included with it. The right one below followed my motherboard and would work perfectly well. But it’s not that good looking when connected to the cards. 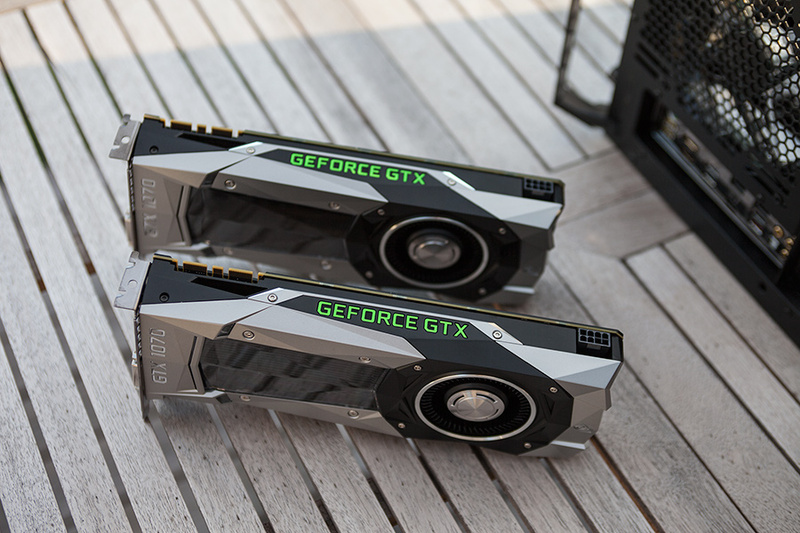 The left one is NVIDIA’s own and can be bought from their website. This bridge is designed especially for these cards and therefore follow the same design. Put it in place and we’re ready to hook up our power source!